MEA students interested in History and Art took part in an after-school ‘Suffrage Art Club’ during the spring term and recently completed their contribution to an amazing exhibition on ‘Suffrage in Manchester’. 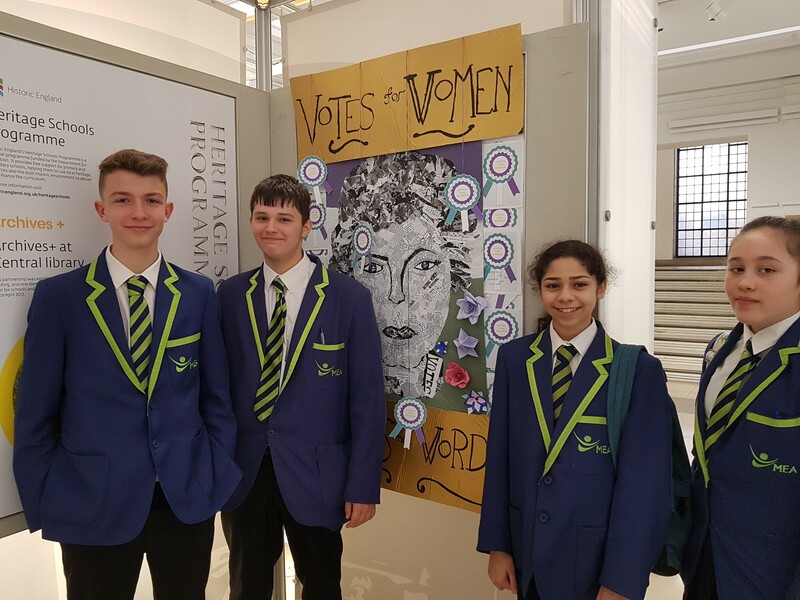 Their work is now on display in Manchester Central Library, alongside contributions from other primary and secondary schools across Manchester as part of a free exhibition. The students worked really hard to create a collaged portrait of Emmeline Pankhurst from primary sources such as leaflets, newspaper clippings and photographs. The project was run by Historic England’s Heritage Schools Programme and Archives+ at Manchester Libraries and this free exhibition runs until the end of June. If you get chance to visit Central Library look out for the wonderful MEA Wythenshawe contribution!